Have you laughed today? Have you doubled over in laughter fighting to get your breath – sides screaming in pain, tears running down your cheeks? Laughing is so good for you. As soon as you engaged in a side-splitting laugh, you changed your body chemistry by downloading a whole lot of feel-good endorphins that caused you feel better emotionally and physically. You reduced your stress and boosted your immune system with nothing other than the pure enjoyment of the moment. I’m going to teach you how to do a unique version of the Thymus Thump. 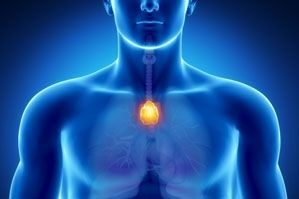 This ancient energy healing technique helps to boost your immune system by reducing your stress and stimulating your Thymus Gland which is instrumental in the development of disease-fighting T Cells. Traditionally, you thump your thymus three times with a closed fist. Others teach this technique a little differently. Thump your thymus repeatedly with a closed fist while you say Ha Ha Ha; Ha Ha Ha; Ha Ha Ha. Until recently, this is the way I’ve used this technique. Thymus Thump with Laughter is described by Yeshua: 100 Meaningful Messages for Messengers due out in a few weeks. You are going to thump your thymus with the pad of your open right hand while laughing hysterically — you double the benefits this way. You are releasing endorphins as well as receiving the immune system boost from you thymus gland. Now go have some fun. Thymus Thump every day when you wake up and every time you feel a little down and lethargic. You’ll find your overall mood is improved.